When The Marvels arrived at long last I didn't announce to any of the girls at my school that it was there. I just left it on my desk for them to discover. Catching sight of its gold on blue printed cover, and those golden page edges, always brought a spontaneous exclamation of wonder, fingers reaching out to touch the gold. "Can I look? Can I touch it?" 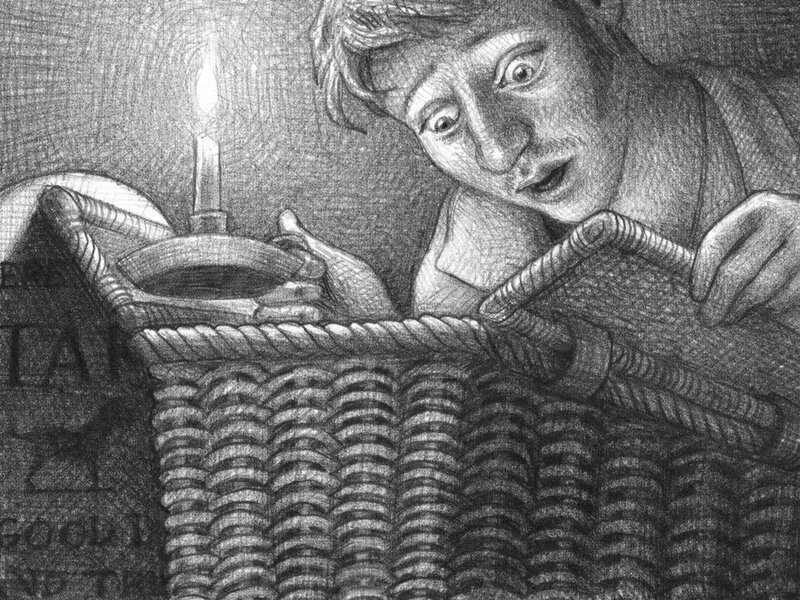 Then opening the pages to see the distinctive dense pencil drawings - "Its another one, like Hugo... like the other one... Wonderstruck, is it? Can we take it out?" One of our teachers had issued a challenge to her Year 4 class in 2014, that if 14 girls could read Caldecott Medal-winner, The Invention of Hugo Cabret before the end of term the class could watch the Martin Scorsese Oscar-winning movie. And they made it, I think 16 or 17 girls read that big fat book. They were so proud. 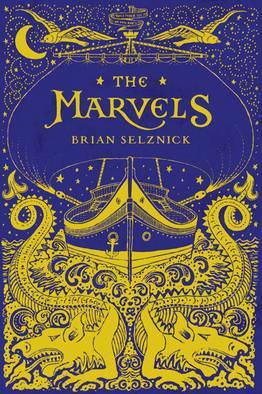 Many went on to read Wonderstruck, the follow-up book, and now are lining up to read The Marvels. This is an epic family saga. Two stories, the first told entirely in pictures, the second in words, the end bringing them together in words and pictures. 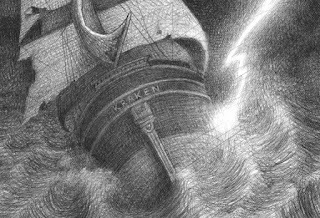 The story begins on a ship at sea in 1766, with a boy named Billy Marvel. 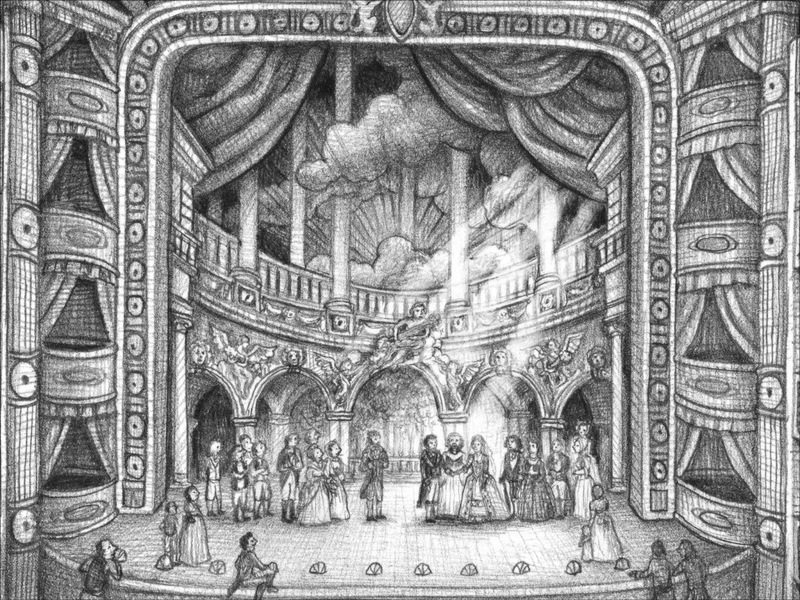 After surviving a shipwreck, he finds work in a London theatre. There, his family flourishes for generations as brilliant actors until 1900, when young Leontes Marvel is banished from the stage. In the second part, told in words, it's nearly a century later. 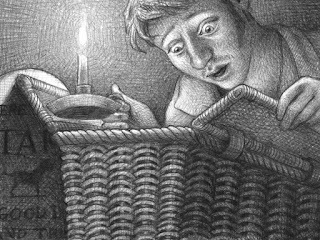 Joseph Jervis runs away from school and seeks refuge with his uncle, Albert Nightingale, in London, making friends with Frankie, who lives next door. Albert's home is strange and beautiful, exquisitely crafted and full of secrets, with its mysterious portraits and ghostly presences. Joseph is determined to find out why Albert is so secretive and, with Frankie's help, put the puzzle together try to find out what Albert's story is and that of the house, his family, and the past. The blending of the two stories, discovering what is real and what is imagined, what is true and what is an illusion, is clever and the ending rather melancholy. I haven't heard what the first readers thought of the book yet, as the library copies went home for holiday reading. I wonder if any of them will be bothered by the gay relationship in the story. It's the second children's book I've read recently where AIDS has played a part (I'll have to look through my shelves to remind myself what the first one was). Selznick has written and illustrated a number of other books, but these three are my favourites. They are also great for giving a child a great sense of achievement - reading a big fat book like this is no mean feat, and yet the visual component makes it reasonably easy to consume. I always tell readers that they must be sure to 'read the pictures' as well as the words, If they don't look carefully they will miss part of the story. After Hugo was published I remember reading about Selznick's technique for creating his drawings. 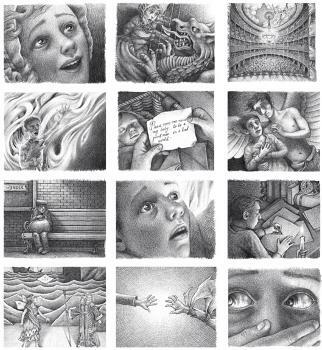 I haven't been able to track down where I read it, but he works in the opposite way to many illustrators. 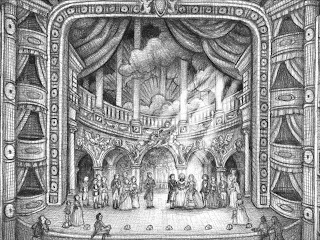 It's a common practice to create illustrations larger than the final printed page, so that the picture can be scanned or photographed and then reduced in size, which makes the detail appear smaller and more intricate. Selznick does the opposite, he does his drawings in pencil on a small piece of paper then enlarges them to fit the page. This produces the very dense textured lines, sometimes a bit smudgy, and full of fabulous shadow and light. This would be a great technique to try out with some keen artists, to see what their own pictures would look like either amplified or reduced.